Super Flower hit the jackpot with their new Leadex units since many companies chose this platform for their high-end series (e.g. Antec, Be Quiet!, and EVGA). SF is deservedly gaining popularity as time goes on because their products are of high quality and deliver stunning performance. Covering most market segments, the Leadex Gold family consists of five members with capacities ranging from 650 W to 1300 W, and all feature a fully modular cabling design with crystal-clear cube connectors which are LED lit, have a single +12V rail, and are 80 Plus Gold certified. They also feature a semi-passive operation with the option to operate normally by flipping a switch at the front. The popularity of Bitcoin mining has lately driven many users toward utilizing multiple high-end VGAs, which has also increased the need and popularity of mega-PSUs. But there are still users who invest lots of money into VGAs and a correspondingly powerful PSU for the ultimate gaming experience. 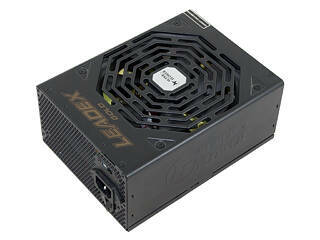 Today’s review sample, the Leadex Gold 1300 W, can power four high-end VGAs with its eight PCIe connectors and monstrous capacity. Its single +12V rail design will make installing this unit a lot easier since you don't have to worry about where each cable goes. We know that multi-rail, high-capacity PSUs are much safer in case something goes very wrong (e.g. a short), but single rail units don't suffer from OCP triggering problems that could lead to unexpected shut downs, and some protection features, like OPP and UVP, still offer enough protection against even shorts. But let’s not turn this into a multi-rail vs single-rail debate and skip to the main review.